1. This new contemporary home, designed by in situ studio, sits tucked into a sloped property in Raleigh, North Carolina. See more photos of this home, here. Designed by in situ studio. 2. 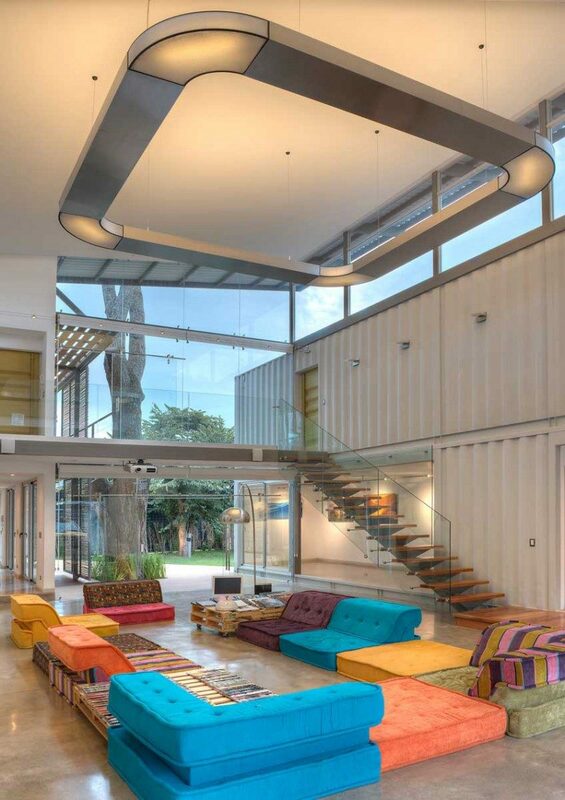 This double-height living room is inside a shipping container home in Costa Rica. See more photos of this home, here. Designed by Maria Jose Trejos. Photography by Sergio Pucci. 3. 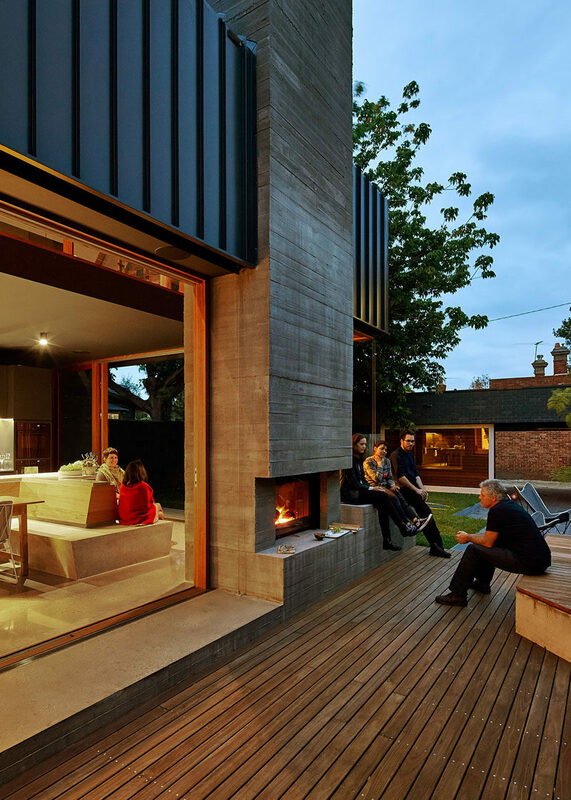 MAKE Architecture designed this home in Melbourne, Australia, that was given an extension with outdoor fireplace to make it more like a local hangout for the homeowner’s friends and family. See more photos of this home, here. Designed by MAKE Architecture. Photography by Peter Bennetts. 4. 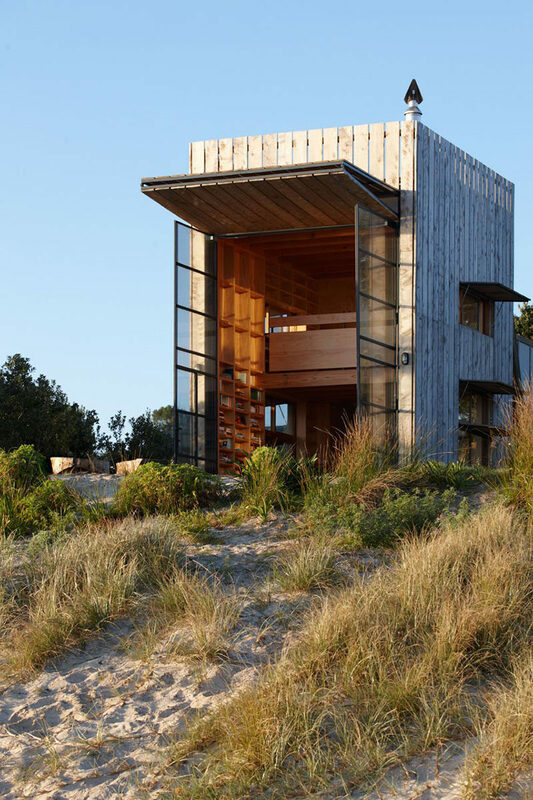 Crosson Clarke Carnachan designed a hut on sleds in Whangapoua, New Zealand. See more photos of this beach hut, here. Designed by Crosson Clarke Carnachan. 5. 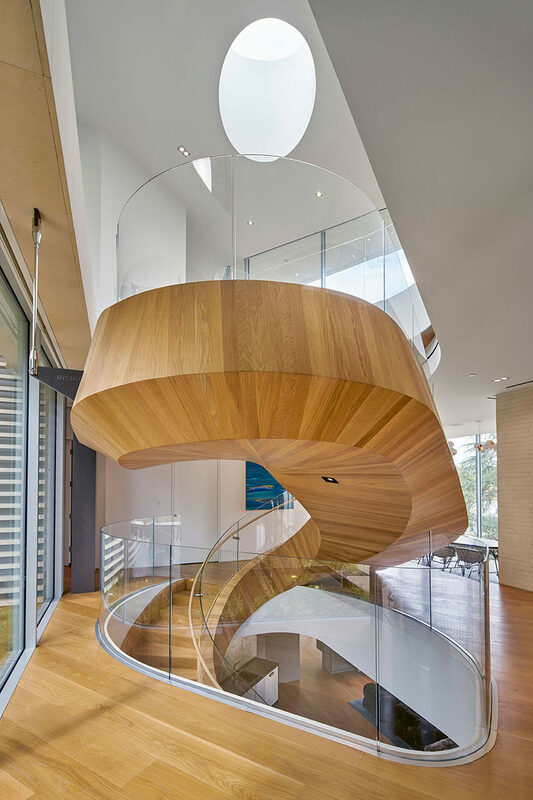 A sculptural wood spiral staircase welcomes visitors to this house in Los Angeles. See more photos of this home, here. 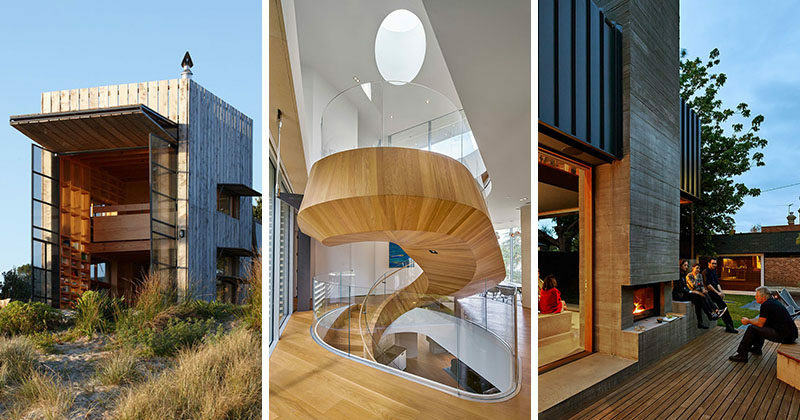 Designed by Belzberg Architects. Photography by Bruce Damonte.